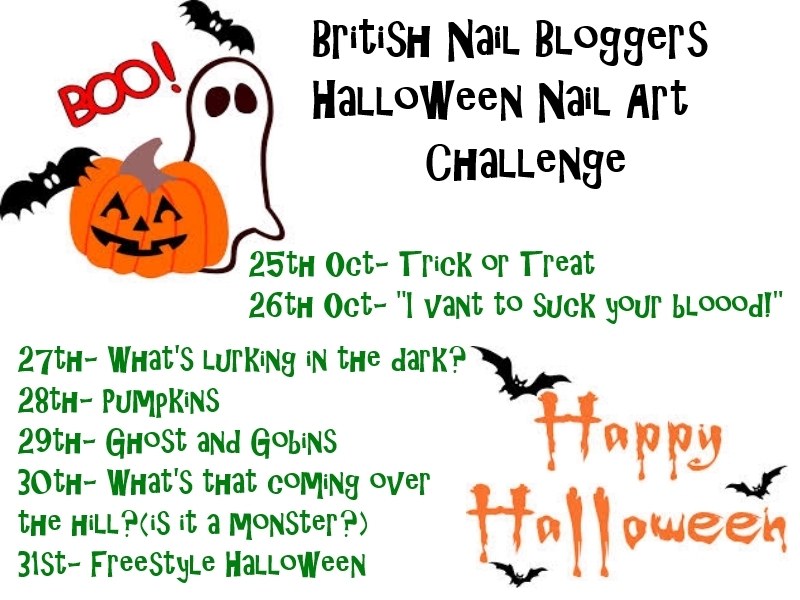 Halloween Challenge: Ghosts and Goblins! Yesterday's Halloween Challenge was Ghosts and Goblins, i've been struggling with a nasty cold the last few days and yesterday it just got the better of me and I just slept! So today you get yesterday's post! These little ghosties were made with Barry M Matte White and a black nail art pen. I think they are rather cute! Are you all ready for Halloween?